Lester G.E. “Butch” Bouchard, 79, of Bristol, passed with dignity at his home with his family at his side, Thursday, April 11, 2019. He was the husband of the late Verna Anne (Cyr) Bouchard, who passed in 2012. 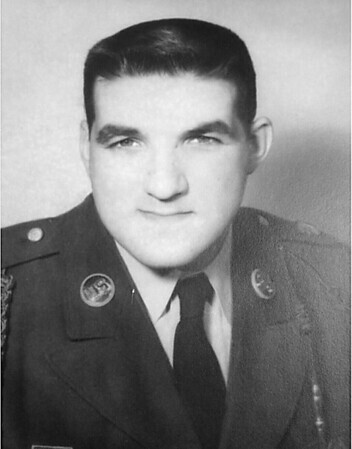 Butch was born in Fort Kent, Maine, on March 2, 1940, a son of the late Edwin and Cecile (Plourde) Bouchard, and was a proud veteran who served in the U.S. Army prior to Vietnam. He has lived in Bristol for most of his life and as a drywall mechanic, he owned and operated Bouchard & Son Drywall for many years. Butch was a member of St. Matthew Church in Forestville, a member of the VFW and the Bristol Franco-American War Veterans. He enjoyed snowmobiling, his cottage in Sabattus, Maine, playing cards with his special group of friends, but most especially watching and supporting his children and grandchildren over the years in all of their activities and interests. He leaves his children, Wayne Bouchard, and Sherry Bouchard-Turcotte and her husband, Ghislain, all of Bristol; his siblings, Royden Bouchard (Diane) of Bristol, and Diane Cyr (Ben) of Madawaska, Maine; grandchildren, Kelly and Andrew Bouchard and Jacob, and Morgan Turcotte; as well as several nieces and nephews. Calling hours for Butch will be held on Tuesday, April 16, 2019, beginning at 8:30 until 10:30 a.m. at O’Brien Funeral Home, 24 Lincoln Ave., Forestville/Bristol, and will proceed to St. Matthew Church for a Mass of Christian Burial at 11 a.m. Committal service and interment with full Military Honors will follow in St. Joseph Cemetery, 522 Terryville Ave., Bristol. In lieu of flowers, donations may be made to Bristol Hospital Home Care & Hospice, 222 Main St., Bristol, CT 06010. To leave an online message of condolence, share a memory or a photo, please visit Butch’s tribute page at www.OBrien-FuneralHome.com . Posted in The Bristol Press, on Thursday, 11 April 2019 18:20. Updated: Thursday, 11 April 2019 18:22.